It has been a wild 2018 for four young kids who make up Ethic but it seems it was all worth it. 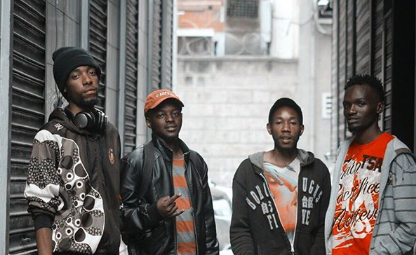 The group, which comprises of Swat, Reckless, Zila and Seska, have been named the best new artists in the industry by Mdundo since they have managed to maintain relevance with every song they have released since shooting to fame. 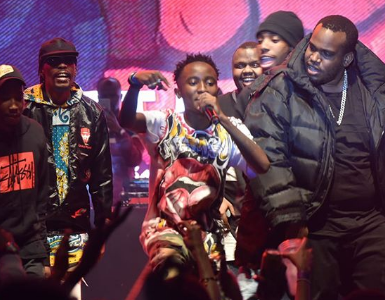 Mdundo, which has spread it wings to other African countries to offer streaming services, will be monitoring artists’ performance and popularity. “Mdundo Download Awards has three categories of validity. Artists’ popularity growth is acknowledged by the number of music downloads they accumulate collectively on the Mdundo platform,” a statement by Mdundo read. The group has been in all kinds of controversies including legal battles but they have maintained their momentum, dropping hit after hit. They have worked with the Kansoul and have another collabo on the way with Nigeria’s Mr Eazy who said he’s a huge fan of them.